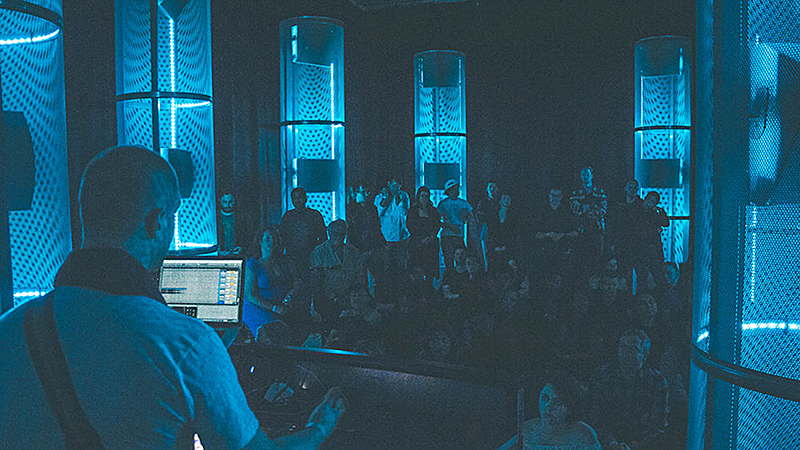 San Francisco’s Envelop SF is a next-generation immersive audio venue based around 32-speaker playbacks. We’re already a quarter of the way through 2019, so I apologize that it’s taken until now to look at Pollstar’s 2018 numbers. But the good thing about history? It’s happy to sit there waiting for you to get around to it, and most good history will accrue some additional context before it starts collecting dust. That’s certainly the case with Pollstar’s data dump from 2018, which was released this January. The big takeaway is that the concert touring business is still a very, very profitable place to be, at least for those at the very top of the game, though even the crumbs from this nearly two-decade-plus-long juggernaut are not bad at all, either. Certainly better than the interest you’ve been getting at the bank. Last year’s global-touring pack was rounded out by Jay-Z/Beyoncé, Pink, Bruno Mars, the Eagles, Justin Timberlake, Roger Waters, U2 and the seemingly indestructible Rolling Stones. In North America, add Kenny Chesney, Journey/Def Leppard, Drake, and Bruce Springsteen (on Broadway, which is “kinda” on tour, if you’re from New Jersey). Yes, the system is being gamed, as it always has been, and skewed towards the top earners. But if we can take off our progressive rose-colored glasses for a minute, it’s also generating a huge amount of capital, much of which is being plowed back into the infrastructure of touring, including tour sound. As noted above, Pollstar’s top-100 worldwide tours totaled $5.6 billion, and the top 10 tours of that chart surpassed a combined $2 billion in grosses for the first time. In the U.S., the numbers were also nice to look at, and remember that this is the number-one touring territory in the world. The publication’s top-100 North American tours took in $3.7 billion (U.S. dollars) from 40 million tickets sold. A portion of that will turn into new sound systems and components acquired by rental houses that will be loaded onto fleets of 53-foot trailers later this year. 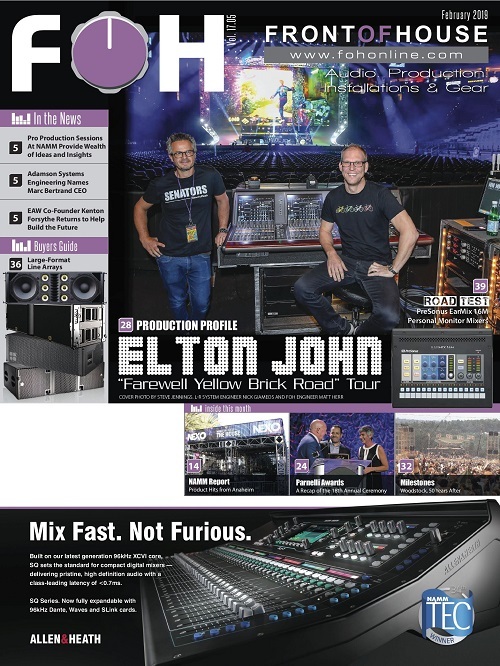 The same goes for audio consoles and racks, and network gear and everything that goes with it, from microphones to intercom systems and — of course — salaries and benefits for all those who hump, calibrate, repair and use them. 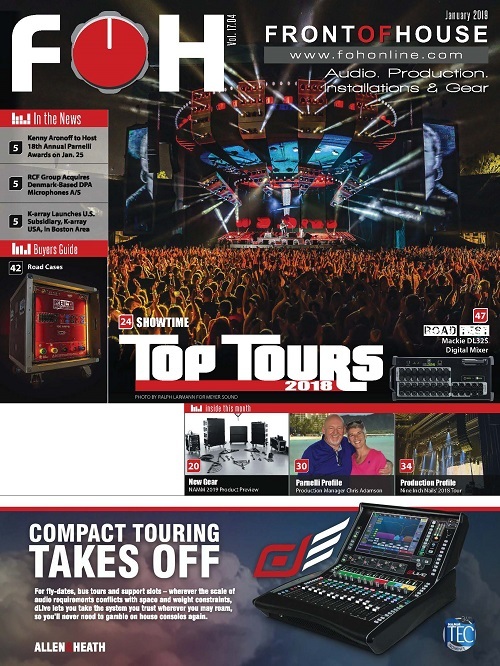 And unlike, say, the pharmaceutical industry, which just keeps buying back its own stock shares, pro audio will put a lot of the money into R&D, as the live sound business heads deeper into the next generation of audio technology: immersive and 3D experiences, a subsector that’s only going to become more and more competitive. 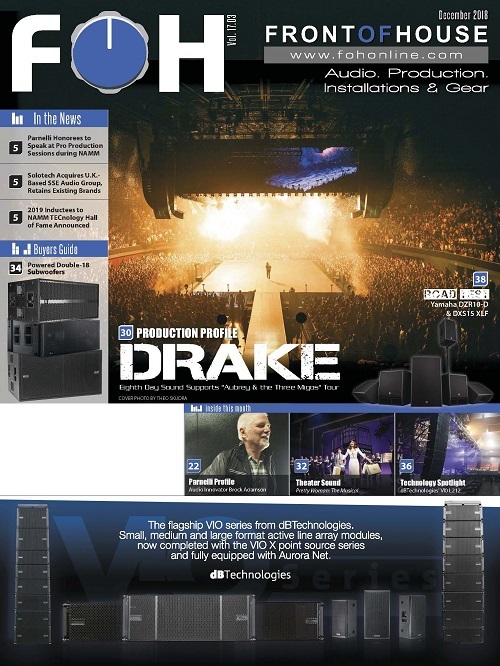 That nascent sector, which includes platforms like L-Acoustics’ L-ISA, d&b audiotechnik’s Soundscape, and Sound Adventures from Martin Audio/Astro Spatial Audio, is also getting a boost from other directions. For instance, Envelop Satellite is the 28-speaker/eight-array touring iteration of the installed Envelop SF, a next-generation immersive audio venue located within The Midway in San Francisco that cossets listeners with 32 installed speakers. Envelop Satellite also incorporates thousands of interactive lights that react to the patterns of the music, bringing together sound and lighting in three dimensions. Sure, VR hasn’t caught on like many thought it would, and immersive sound is still in its novelty stages. But just the fact that the live-sound business feels confident enough to take the risks that come with new technologies is itself a barometer of the positivity infusing the industry now. The higher grosses also underscore how more artists are touring now than ever, between the new class of pop acts, the continued relentless roadwork among classic-rock legacy acts — Queen’s 2017-18 tour is extended well into 2019 with help from four Oscar wins at the Academy Awards this year, including two for Bohemian Rhapsody’s audio — and a bumper crop of new and classic country artists whose buses never stop rolling (although of them, only Kenny Chesney made the top-10 last year). 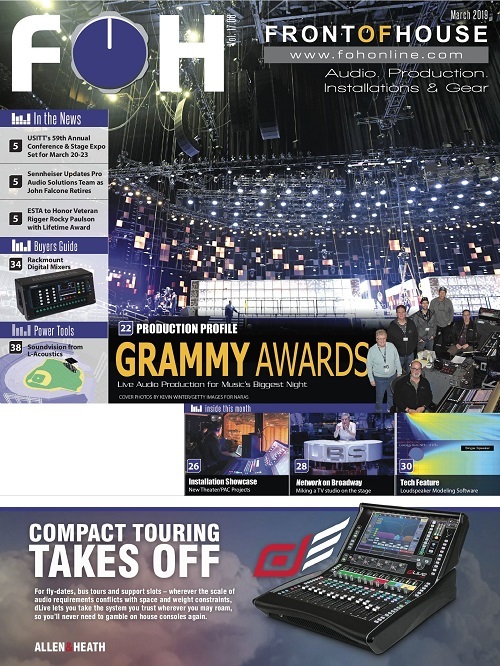 More artists touring means more equipment manufacturing and sales. 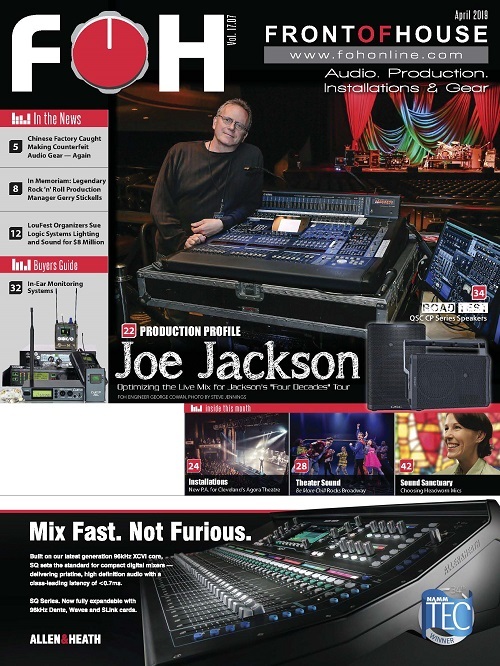 It’s a nice ka-ching for the live-sound industry and pro audio in general. It also means more opportunities for newer brands moving into the U.S. market. Canada-based PK Sound, for instance, has been trumpeting its tour with Dierks Bentley. There seems to be enough work in this bubbling market to absorb the slew of new brands attracted by it, though it will likely put some pressure on pricing everywhere but at the very highest levels. That will put even more of a premium on the “rider-ready” sobriquet as the ultimate differentiator for tour sound. Live music is the center of the universe for the music business, and touring has become the norm not only for its leading artists but also for almost everything else, from new-car introductions to museum shows. To paraphrase a certain song, “these are the good old days.” Enjoy the hell out of them. Dan Daley is a noted journalist and bon vivant.